A next-generation healthcare revenue cycle solution that’s enterprise-ready, high-performing and interoperable. An enterprise-wide approach to revenue cycle operations across all care settings. Ensure greater efficiency and flexibility, and an improved patient experience by delivering a single patient financial picture and statement to provide a holistic, patient-friendly approach to managing billing inquiries. An enterprise revenue cycle approach can help optimize critical outcomes such as cost to collect, first pass denials, and aged A/R. All while positioning your organization to increase bonus revenue by better facilitating the financial component of the patient experience. Help eradicate waste with exception-based workflow by helping your staff focus on only the items that require attention. This will help lower costs, increase efficiency and improve revenue cycle outcomes including AR Days, cash collections of net patient service revenue and cost to collect. 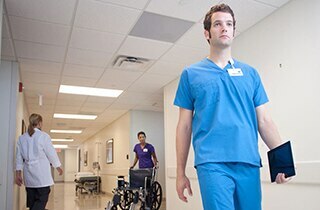 Integrate with EHRs, payers and more to enable successful delivery on value-based care arrangements through connected workflow. Information must pass freely between providers, patients, payers and regulatory bodies. Centricity Solutions for Financial Management's clinical and financial interoperability not only facilitates the seamless sharing of information between critical applications such as your EMR, RCM and other ancillary systems, but also opens the lines of communication between payers and providers to adjudicate claims, close gaps in care, and update risk-adjustment scores. Manage risk-based payment models that are right for your organization and enable your team to manage the optimal administration and adjudication of these reimbursement models. While fee-for-service may not always be easy, it's a known and tested model. Risk-based models present new challenges for your revenue team. You need clear visibility into your operations as you must manage new types of revenue collections efficiently. This holds true for shared savings programs, partial capitation or full capitation. Never before has revenue cycle performance been more important. Healthcare’s shift from volume- to value-driven payment is transforming the delivery of patient care, increasing the focus on managing care outcomes, as well as costs and revenues across multiple settings and providers. Now, by combining efficient, automated workflow with data-driven, actionable insights, your organization an thrive in the midst of change. Centricity Business has been awarded the HFMA Peer Review designation. The HFMA Peer Review process assures our members, through a rigorous evaluation, that the reviewed healthcare business solution meets an objective, third-party assessment of overall effectiveness, quality, and value. HFMA's Peer Review process provides healthcare financial managers with an objective, third-party evaluation of business solutions used in the healthcare workplace. The rigorous, 11-step process includes a Peer Review panel review comprising current customers, prospects who have not made a purchase, and industry experts. The Peer Review status of the healthcare business solution and its performance claims are based on effectiveness, quality and usability, price, value, and customer and technical support. Centricity Business helps Virginia Commonwealth University achieve new heights in financial performance while delivering award-winning care. 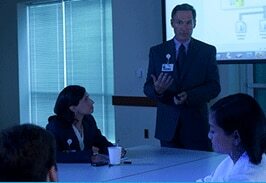 Stony Brook University Physicians reduced paper costs by 40% and reduced Accounts Receivable by 11%. With the help of Centricity EDI Services, UPI improved its eligibility verification process, freeing resources to perform other registration and insurance quality functions. Source: Customer metrics program. Results may vary and do not constitute a representation, warranty or performance guarantee. Hear what our customers are saying about us from KLAS. For healthcare organizations that want to simplify physician and hospital billing, Combined Business Office provides an efficient way to manage billing for both professional and technical claims. Watch this demo to learn how Combined Business Office provides an intuitive revenue cycle system that spans both hospital and physician billing across the entire organization in a single workflow. Watch this demo to learn how you can leverage Enterprise Task Manager to automate and prioritize daily tasks to maximize productivity and efficiency of your business processes. Enterprise Task Manager gives healthcare providers the high performance revenue cycle capabilities needed to help drive greater profitability and consistent results. Watch this demo to learn how you can leverage Centricity EDI Services to help increase administrative efficiencies and boost financial performance. By combining a single vendor schedule-to-payment workflow that integrates EDI transaction data into Centricity Business, GE Healthcare has developed a solution that can help you address issues before they negatively impact cash flow. Today’s challenges demand a high-performing revenue cycle with supporting processes and operations. The right partner can help you can uncover opportunities and fine-tune workflows to boost your revenue cycle performance. GE Healthcare’s revenue cycle management experts possess experience and knowledge of your Centricity Business solution plus expertise in revenue cycle management workflows and processes. Together, we can help find hidden opportunities for improvement. With an average of 25+ years of industry experience, our consultants possess the deep knowledge required to understand where issues likely exist, give you the ability to unlock opportunities and optimize existing processes. Align people, process and technology to improve productivity, efficiencies, cash flow and return on investment. Take full advantage of Centricity Business software to improve your bottom line? We can help across your enterprise front desk, billing office and information technology staff. We also provide functional and technical application training onsite at your organization or online through instructor-led distance education. Contact Centricity Services today to learn more. Attempting to gather data to see the full picture of your workflow challenges and successes and how your system is performing against others can be overwhelming. The Centricity Business Client Metrics Program gives you the capability to analyze performance through a suite of quantifiable components to help drive productivity and financial improvements. 1 Schumacher Group results based on use of Client Metrics Program and GE Healthcare Advisory services from January 2013 - December 2013. Collaborate with us to promote thought leadership and help similar organizations make informed business decisions. 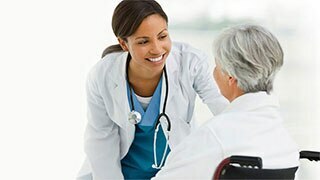 We are dedicated to supporting our customers in their goal to improve patient care and advance the healthcare industry. By participating in the GE Healthcare IT Reference Program, you will have the opportunity to showcase your innovative use of technology to a larger audience of peers, practitioners, patients and the greater healthcare industry. An electronic medical record designed to interface with practice management systems in larger physician practices. A flexible, scalable, and highly configurable patient portal designed to help large healthcare organizations engage patients and their families. Learn how Centricity EDI Services integrates workflow for healthcare claims into your revenue cycle solution to help improve efficiency in medical billing.